SPSS Statistics is a flexible software program used for statistical analysis. 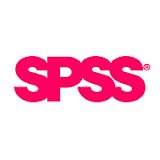 Developed for the field of social science, SPSS has also become popular in many other fields, including health sciences, market research, education research and data mining. Uninstall any previous versions of IBM SPSS from your workstation. Make sure you have an active internet connection so you can register your IBM SPSS installation. Downloads > Apple and click the SPSS Statistics 25 and the SPSS 25 Installation Guide links. Once the files have downloaded, open and read the installation instructions prior to installing the software.